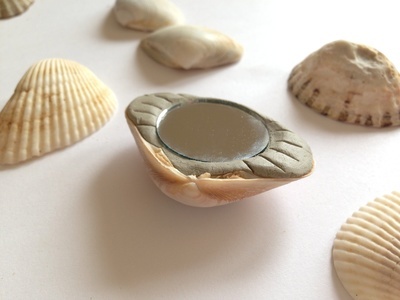 These magical mermaid mirrors are made by setting a small mirror into a shell. 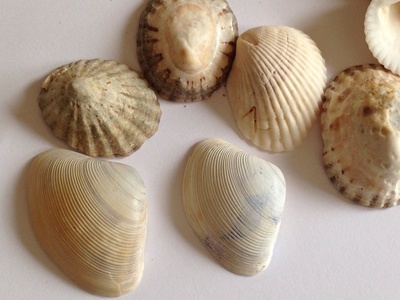 They are very easy to make but are sure to be prized possessions with young kids - my daughter immediately hid one away in her treasure box. 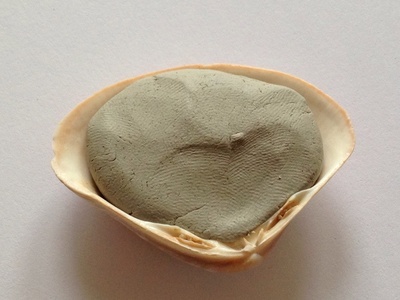 Press some air drying clay into the shell. Press the mirror into the clay. Score any other decoration you want to add into the air drying clay around the mirror. A pencil or popsicle stick works well to score marks into the clay. Allow to dry for around 24 hours. 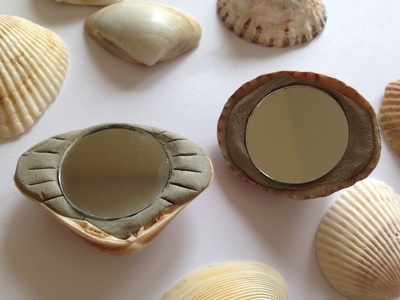 When dry, prise the mirror out, add some PVA glue to the back of the mirror then press it back into the indent. 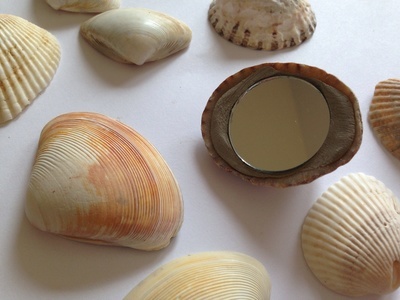 Allow to dry then admire your magical mermaid mirror.